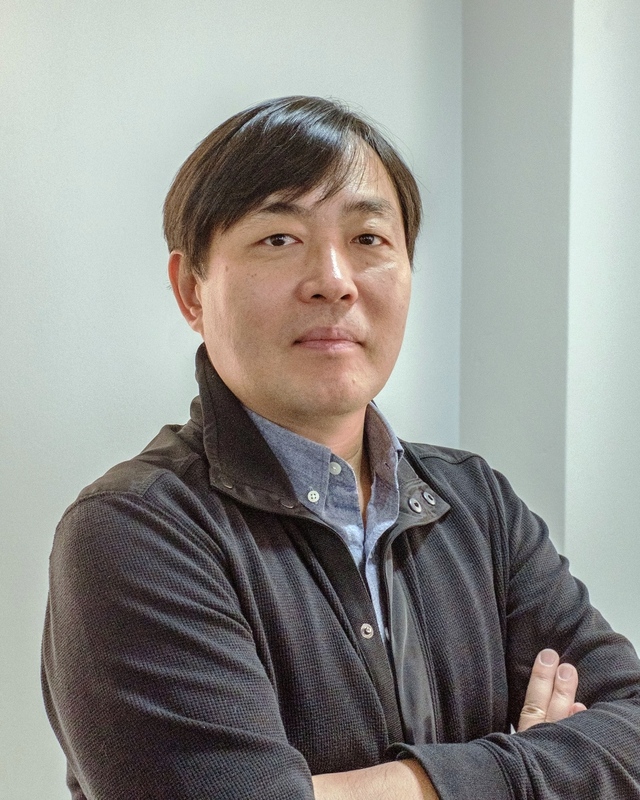 Cheol-won Lee is the Founder and CEO of Balance Hero, which is a startup founded in 2014. Prior to that, Lee was the president and CEO of Access mobile, a provider of customized mobile solutions that address business and social needs. He was also associated with RealNetworks as the head of business for the Asia Pacific region. True Balance is a balance checking and recharge startup which recently crossed 50 million downloads on the play store. It is headed by Cheol-won Lee, who is originally from Korea but has been based out of India for more than a decade. In India, 95% of the population uses a pre-paid mobile plan, hence the app was developed due to the necessity of checking balance and recharging. In an exclusive email interaction with The Motiverge; Cheol-won Lee, Founder and CEO, Balance Hero tells more about the venture and future plans. 1. Tell us more about True balance? True Balance is an application that was launched by Balance Hero in 2014. In India, 95% of the population uses a pre-paid mobile plan, hence the app was developed for the constant necessity of checking balance and recharging. True Balance has successfully shifted mobile balance alerts from text to infographics and made it convenient for users to easily check their balance, purchase pre-paid plans and track data usage. Considering the low bandwidth in India, it enables users to check their balance in real time even when data service is not available for their mobile phones. Our main aim behind launching True Balance was to empower Indian users to save time, energy and money when it comes to telecom services. Currently working for prepaid users, True Balance covers 9 telecommunication network providers in over 22 circles of the country and was the first company to launch Jio Balance check and recharge. In 2016, the app was selected in the App Starter Kit (collection of most used apps in the country) on the Play Store and has ranked No. 1 in the lifestyle app category. By July 2016(in just 19 months from its first release), the app had been downloaded 10 million times and by February 2017, the number quadrupled. The app currently has over 40 million downloads and counting. 2. What are the benefits of the app? While other players facilitate payments for a variety of services, what differentiates us is that when it comes to mobile recharge we are the only player providing a one stop shop solution to mobile phone users in India from tracking their data spend to recommending data packs basis their spending pattern and allowing them to recharge at the click of a button. 1. 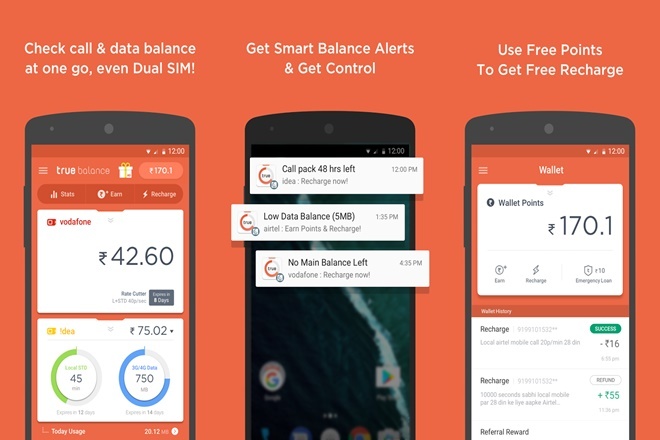 The app features a shortcut bar on the notification tray which shows current balance, available internet data and active packs for both SIMS – without being connected to the internet! 5. First company in India to make Jio balance check and recharge available for our users, no other company has done this till now. 7. Allows users to track their all-time deductions history which helps users to plan their expenditure in advance and recommends recharge plans based on past data usage. 8. The app recommends the best pack based on user’s usage. For example, if the user uses 100MB a week, we recommend the best weekly pack for 100MB usage and so on. 3. How has been your journey so far? What keeps you going? Balance check needs to be digitalized for the smartphone era, especially for prepaid dual phone users. In a country where more than 90% of recharge transections still happen offline, True Balance strives to introduce the digital payments ecosystem to the consumer in order to convert these into digital transactions. We are targeting all Indian mobile users, even feature phone users, to fully enjoy digital mobile recharge services. 4. Awards and achievements, if any? 5. What was the initial investment? 6. Did you get funding? Give details if you approached the funding agencies? Who are the funders? Why do you think they funded you? True Balance has successfully completed Series A and Series B funding rounds as its growth potential was recognized. The first funding was announced in 2015 by Bonangels. Funding for series A and series B were announced in 2016 and 2017 respectively, raised by Soft Bank Ventures Korea and others. Our investors value our vision which is to be a credible mobile balance check & recharge application for 1.3 billion Indian users, which can be the base for many businesses. 7. How do you operate? How many offices do you have? We have two offices in Seoul & Gurgaon with more than 100 employees in total. Gurgaon takes care of marketing, CS, QA & operation while Seoul takes care of development and design. 8. What are the current trends in the market for such apps? India is the second biggest market for smartphone users and with over 300 million users it has even surpassed the US market in terms of active unique smartphone users. This data speaks volumes for the scale of the Indian market provides for any player in the mobile-connected ecosystem. Keeping the potential of smartphone penetration in developing countries in mind, we thought India was the ideal choice for us to launch our balance check app business. A growing user base, increasing number of mobile internet users and favorable government policies have also helped in making India’s business operating environment conducive for start-ups. One’s dream cannot come true without hard work and taking risks. You need to set up a goal and continuously work towards it. Moreover, to become a successful entrepreneur you need to be in the right market and position. We see a bright future for the mobile revolution here and thus India will remain an important pillar to our growth story as it has proved to be so far. India will eventually become a new global gateway for all services.